Annabeth Bondor-Stone is the coauthor of Time Tracers and the Shivers the Pirate series. She is a producer for the Story Pirates and a mentor with WriteGirl, an organization that empowers teen girls through creative writing. Her plays have been produced in Chicago, Los Angeles, and Louisville. Connor White is the coauthor of Time Tracers and the Shivers the Pirate series. 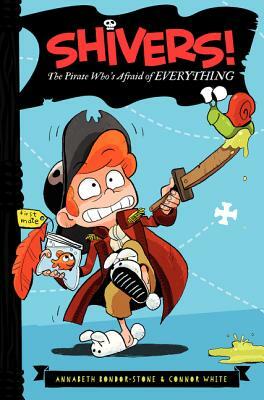 When he is not writing books, Connor is a director and producer for the Story Pirates, an arts organization that teaches kids creative writing, then turns their stories into a sketch comedy show.